This turkey is very realistic, it is in a cream and green enamelware pan. The pan is 1 1/2" x 1". 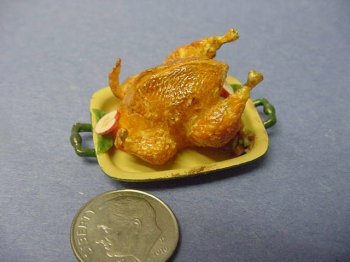 A great item for your dollhouse kitchen.